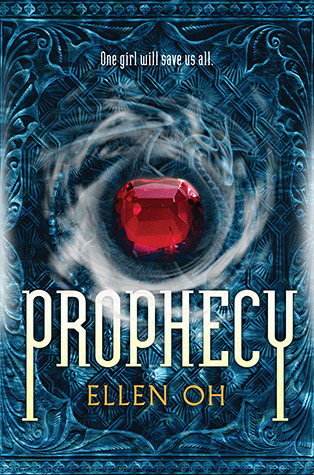 Recently, I had the wonderful opportunity to ask Ellen Oh a few questions about her books Prophecy and its sequel Warrior. Prophecy is a fantastic Korean-inspired fantasy with an awesome female heroine (read the review here!). 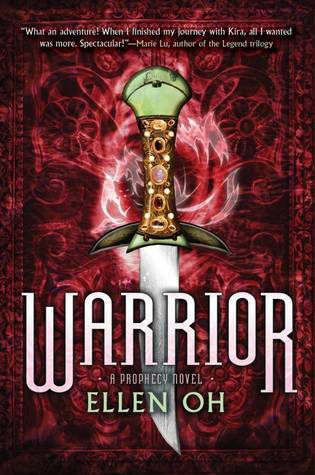 Warrior will be released on December 31st, 2013. What inspired you to write a Korean style fantasy? It started with Genghis Khan. Back in the year 2000, Genghis Khan was named Man of the Millennium by Time magazine. I remember buying that issue and reading all about him and thinking how cool it was that an Asian man was considered the most influential man of the millennium. So I went and bought a bunch of biographies on Genghis and I just fell in love with all the Asian history I learned. It made me crave more information. But it was actually really hard to find a lot of books on ancient Korea. And there was hardly any fiction novels at all other than Linda Sue Park’s classic novel A Single Shard. This is really the reason I began writing again (I hadn’t written creatively since college.) I just felt that all these amazing historical facts would make for a great novel. How did you go about researching for Prophecy and Warrior? The great thing about being a faculty member of a university is that you have all the university’s library services at your disposal. I’ve pretty much researched everything I could get my hands on about Asian mythology, shamanism, Korean legends, even architecture and pottery. It’s fascinating stuff. I used a lot of legends and myths of Korea. One of the most famous legend is the story of the Rock of the Falling Flowers. It is a cliff in the old Paekche kingdom where 3,000 court ladies leapt to their deaths when faced with the invading Tang and Shilla army. Their colorful hanboks made them look like falling flowers – hence the name. I also use the myth of the 8 Heavenly Maidens and then twisted it to suit my needs. Usually, the folktales have the Heavenly Maidens descending to earth and bathing in a pool and some poor woodcutter comes and steals one of their clothes. Without her clothes the heavenly maiden cannot return home and is forced to marry the woodcutter. Well I never liked that myth. As far as I’m concerned, that poor woodcutter is a stalker/peeping tom/kidnapper. So I changed that myth to make my Heavenly Maidens strong and with an important purpose in life. I think research is really my favorite part of writing the Prophecy Series and I’ve been so fortunate to have been able to do something I love and get it published by a great house like HarperTeen. Kira is supported by her tiger spirit. Are there or will there be other chracters with animal spirits, or is she unique? She is definitely unique. But I’ve been toying with the idea of having other characters with animal spirits. It would be a play off of the twelve animal horoscopes. I don’t know if it will make it into the series, but it is something that I’ve been working on as a side project. A lot of YA lit has a heavy focus on romantic love, but not on familial love. What made you choose to give Kira so many brothers and cousins? I think family is definitely an important focus of my books. Family is the support base for most people. Whether it is brothers and sisters, cousins, friends, etc. The bonds that form family are incredibly important and I feel they should always be celebrated and remembered. It was a very conscious decision on my part to have Kira come from a strong family support group. Because that is true love. I know that some people are disappointed in how light romance is in the Prophecy series, but romance was never the focus of Kira’s story. 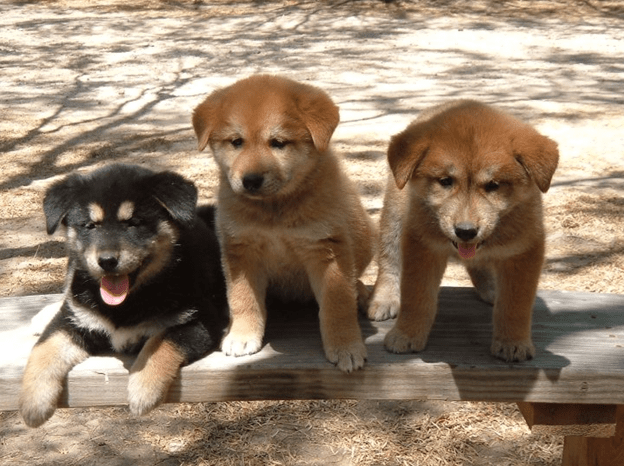 Jindo is pretty much my favorite, so I have to ask — What type of dog does Jindo resemble? Do you have a dog? Jindo is a Jindo, a very special breed of dog from the Island of Jindo in South Korea. They are known for loyalty and are considered a national treasure of Korea. When I was thinking of naming Taejo’s best friend, I thought “what would I name a dog I just got from this far off island of Jindo… hey Jindo is a cool sounding name. I’ll just name him Jindo!” :o) As for me, well I had a dog growing up, a german shepherd that I loved, but my husband and oldest are dreadfully allergic to animals (not just the fur but the saliva) so it hasn’t been possible… yet. I love the introduction of more mythical creatures in Warrior — like the Dokkaebi, Kumiho, and so on. Will there be more to follow? Yes, definitely. The Asian mythology was one of my favorite parts of researching for this series. There are quite a few creatures that are very distinctly Asian and are very different from what we normally see in Western mythology. But I have to say that the Dokkaebi and the Kumiho were my favorite characters to write about. They were so fun! Finally: If you had to choose, who do you think would make a better avatar in the Last Airbender/Legend of Korra series — Kira or Korra? Oh, tough question! I do love the Korra series but I don’t think I could answer that particular question. But how about this – If both Kira and Korra lost all their magical powers, who would be the stronger fighter? And I would say Kira, because her skills have never been completely dependent on magic but her own strength and power. 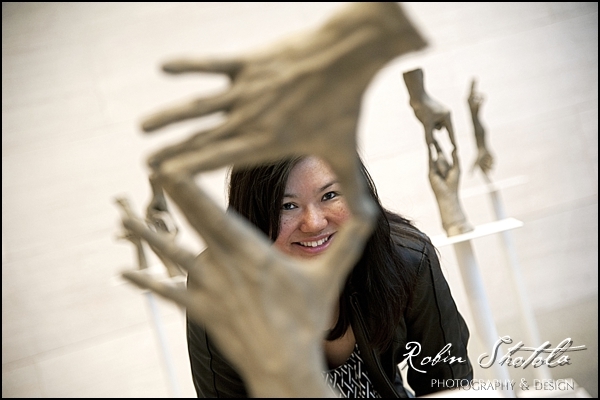 Originally from NYC, Ellen Oh is an adjunct college instructor and former entertainment lawyer with an insatiable curiosity for ancient Asian history. She also loves martial arts films, K-pop, K-dramas, cooking shows, and is a rabid fan of The Last Airbender and the Legend of Korra series. Ellen lives in Bethesda, Maryland with her husband and three daughters and has yet to satisfy her quest for a decent bagel.